Join us for a night at the Ballpark with your Dog! 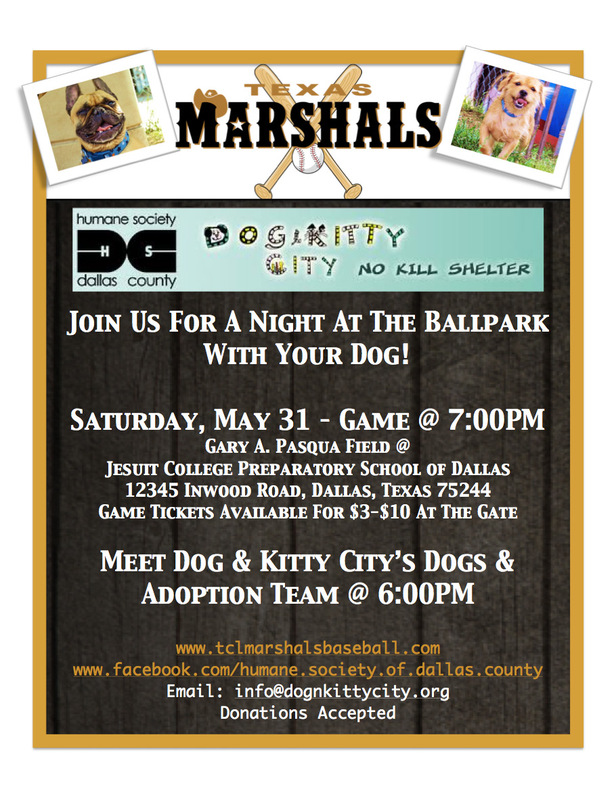 Our shelter will be cheering on the Texas Marshals on Saturday, May 31st at Jesuit College Prep School's Gary A. Pasqua Field. Game time is 7 pm. Meet HSDC/Dog & Kitty City's dogs and adoption team starting at 6 pm. Texas Marshals baseball tickets are $3-10 at the gate.